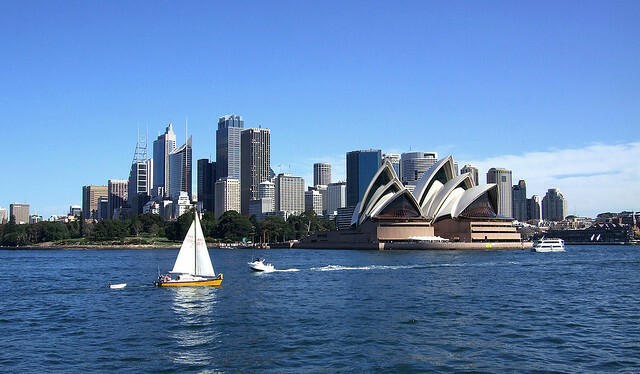 A good fare for nonstop service to Sydney. 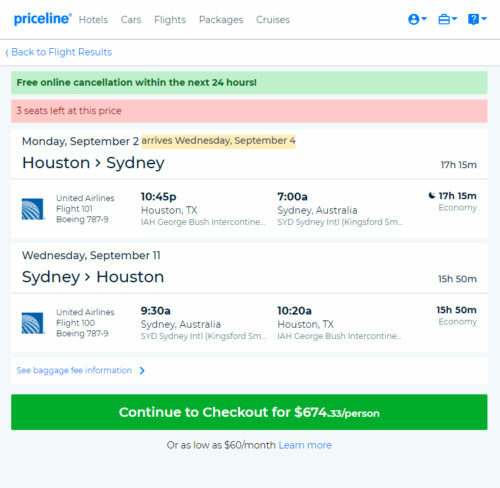 ITA will show prices of $713 while Priceline will price the same fares at $674. 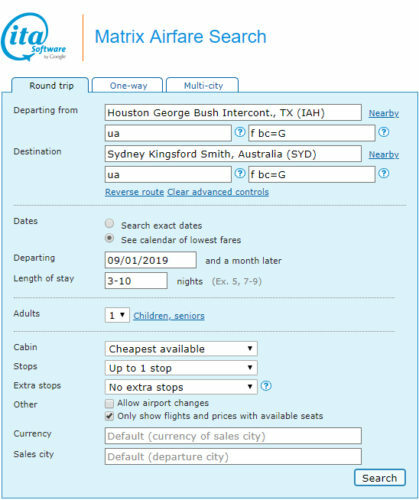 Valid for travel from mid-August 2019 – early-September 2019 for Monday through Thursday departures and returns. Must purchase at least 10 days in advance of departure.